Stark Bro’s Nurseries & Orchards Co., is once again ready to host its popular once-a-year sale event, to be held from April 11-14. Customers travel hundreds of miles for acres and acres’ worth of bargains and events that are family-friendly — and free. To the delight of local gardeners, everything from fruit trees and berry plants to shrubs and perennials will be on sale. This year, event-goers will be able to browse the wares of artisans and craft-makers, and even grab a bite to eat after a hard day of shopping. A special bonus for any visitor making a purchase of $18.16 or more is a free quarter-inch-caliper Stark® Franklin Cider™ apple tree. For the first time, Stark Bro’s will be offering six “City Planter Collections,” replicas of the planter arrangements found around downtown Louisiana. There are 24 plants in each collection, which will be offered at $39.99. Collections are available for both sun and shade gardens. Daily prize drawings for $25 gift certificates, and a grand prize drawing on April 22 for a $250 gift certificate require no purchase, and visitors need not be present to win. There will also be a giveaway of a Stark Bro’s wooden wall hanging. For those interested in learning a thing or two, there will be demonstrations during the Customer Appreciation event. The MO Master Gardeners Association will be presenting a talk on spring gardening tips April 13 at 11 a.m. John Logan, a direct descendant of the Stark family, will offer a wine-making seminar April 13 at 2 p.m. A coffee-roasting demo will be given by Ryan Cornell from the Twin Pikes Roastery on Sunday, April 14 at 1 p.m.
A fund-raising lunch will be on the table during the event as well. The Buffalo Township United Fund is putting on a BBQ meal on Friday, April 12 from 10 a.m. to 2 p.m. Lunch includes a pulled pork sandwich, chips, a cookie and a drink) for $7. Cinnamon rolls are $3 each, 2/$5 or $25/dozen. Delivery is available with a minimum order of five lunches or 12 cinnamon rolls. To pre-order, email westonmartha@gmail.com or call 314-578-3502. Proceeds go to help more than a dozen charitable organizations in Buffalo Township. Garden Center hours are Sunday, 10-6; M-F 9-6; and Saturday, 8-7. 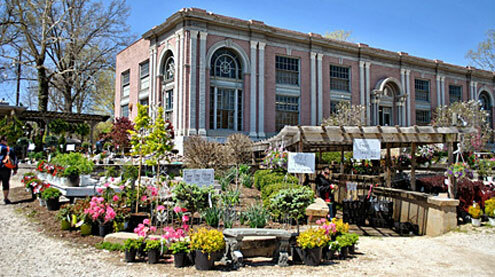 The Garden Center is located at 11523 Highway NN in Louisiana, MO. Admission is free and leashed pets are welcome. Stark Bro’s, founded in 1816 — the world’s oldest fruit-tree nursery — offers more than 150 varieties of fruit, nut and shade trees and other garden plants. The company mails out two million catalogs each year to home gardeners, and ships more than one million trees and plants to consumers and commercial orchardists nationwide. Stark Bro’s is still located in Louisiana, along with its retail Garden Center, warehouses, greenhouses and main test orchards. 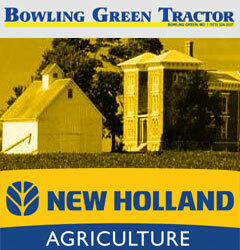 Nursery stock is also grown in Atlas, Illinois. For more information, please visit StarkBros.com.